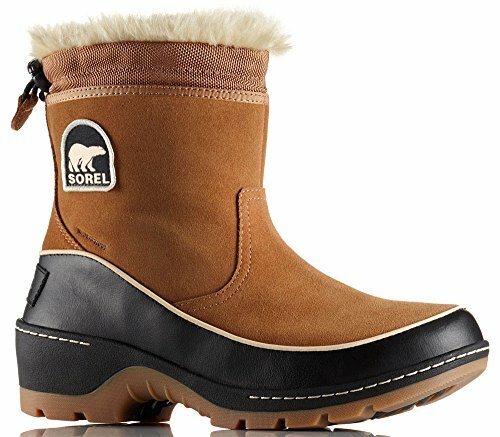 Charge through every winter day in the cozy comfort of the Sorel® Tivoli III Pull-On boots! Waterproof suede leather and textile upper with faux fur collar. Back drawstring cord for a secure fit. Features both 100g insulation and microfleece lining to keep the cold out in the most frigid temperatures. Waterproof breathable membrane construction keeps out the wet elements. Removable molded Orhtolite™ footbed with combination EVA and memory foam and an eco-friendly, microfleece top cover. Rubber midsole offers added comfortable support. Molded rubber outsole gives excellent traction that you need in the slick terrain. Imported. Measurements: Weight: 1 lb 2 oz Shaft: 7 in Product measurements were taken using size 8, width B - Medium. Please note that measurements may vary by size. Weight of footwear is based on a single item, not a pair. Charge through every winter day in the cozy comfort of the Sorel® Tivoli III Pull-On boots! Waterproof suede leather and textile upper with faux fur collar. Back drawstring cord for a secure fit. Features both 100g insulation and microfleece lining to keep the cold out in the most frigid temperatures.